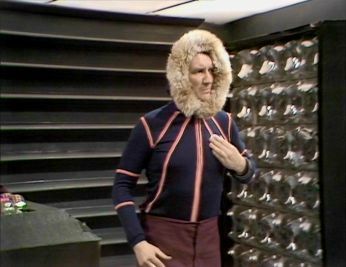 Blakes7 Discussion :: View topic - Who had the worst dress sense? Who had the worst dress sense? Posted: Wed Nov 01, 2006 12:17 pm Post subject: Who had the worst dress sense? thats rather hard will have to give it some thought!!! I voted for "anyone else" - that being Nicholas Rocker! The entire guest cast of Warlord! I was half tempted to vote for Servalan 'cos of those terrible season 4 outfits, but she looked nice in the costumes she wore in the first three series so that didn't seem fair! Of the regular crew, I said Tarrant, because once he was out of the federation uniform and into civvies, he lost his appeal to me. You know you all love him really! Especially the traffic cone thing from Pressure Point! Yes, Westlife aren't looking too good these days!! He did redeam himself with his outfits in 'Terminal', 'Powerplay' and his first outfit from Series 4.